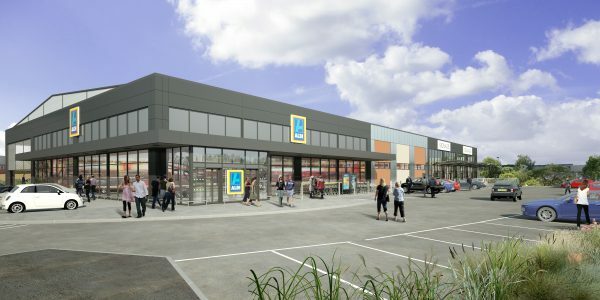 Aldi has opened a new supermarket on Crayford Island, south-east London in time for Christmas trading. Designed by our Milton Keynes office for Aldi Stores Limited-Chelmsford, the 18,200 sq.ft store anchors a major re-development of a derelict site on Roman Way adjacent to the Tower Retail Park. The development includes three new build units of 292 sq.mt, 85- sq. mt. and 280 sq mt. contained within a single building, plus 156 car parking spaces. Works commenced in January this year following planning consent awarded in 2015, with The Harris Partnership Milton Keynes also providing all project management during the on-site construction phase for Aldi.